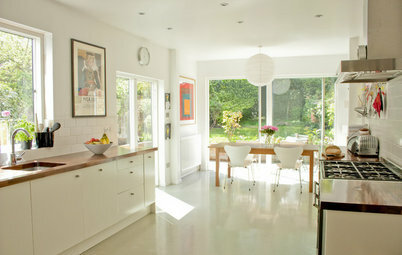 Love the look of fresh white but don’t want to feel like you live in a cold, minimalist compound? 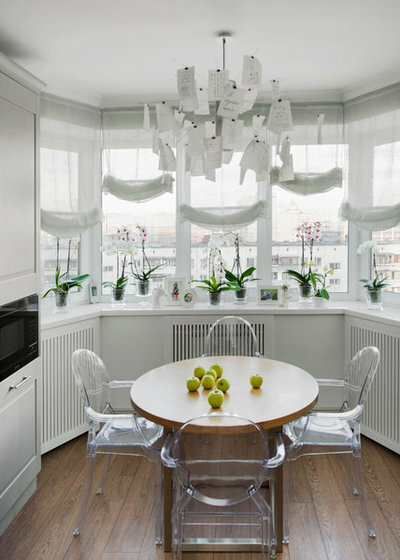 Here’s how to boost white to get a livable, inviting look that feels airy, open and full of personality. 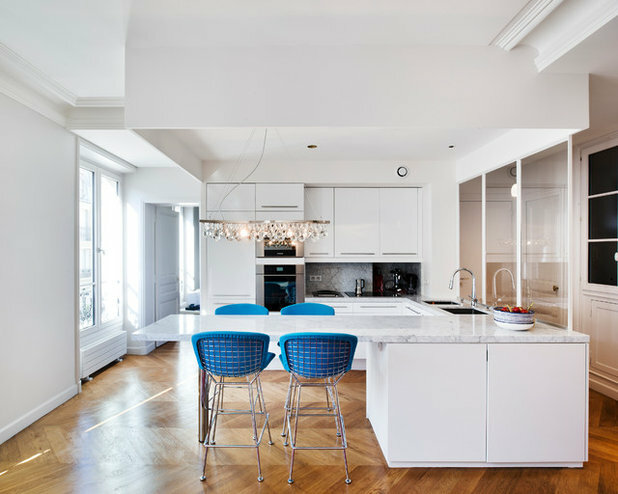 A kitchen can be mostly white surfaces and still have a sense of life with just a few colorful accents. Notice the red dials on the range, which add personality, as well as the occasional accessory and plant life. These add up to a feeling of a more diverse palette without any single hue taking over from white as the focus. 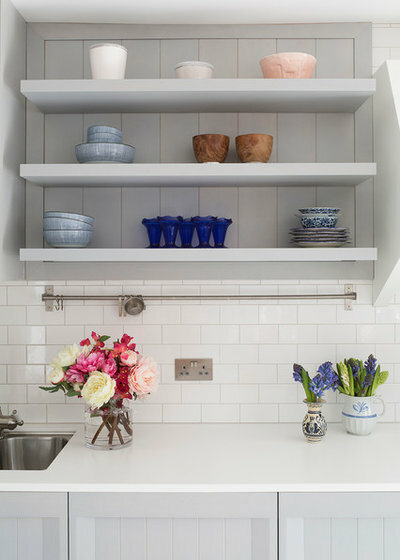 Open shelves are an especially effective way of revealing some hits of color through everyday dish ware. 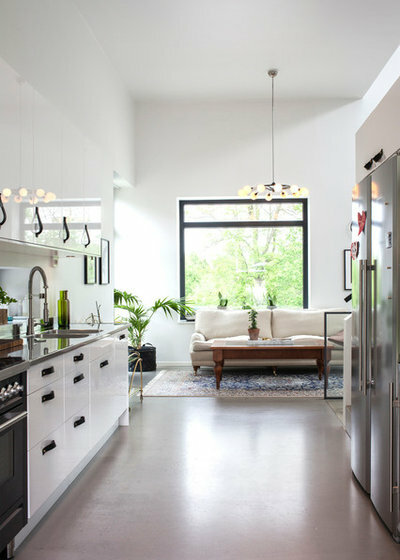 With the plant life below, this kitchen feels miles from all-white. For a seasonal pop of color, try removable chair covers in a saturated hue. 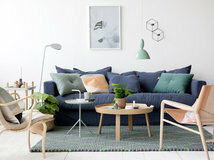 They’ll help add interest to an all-white scheme, are easy to clean and can be stored away between seasons to switch up the look throughout the year. Patterns will bring a lot of interest to a monochrome space. 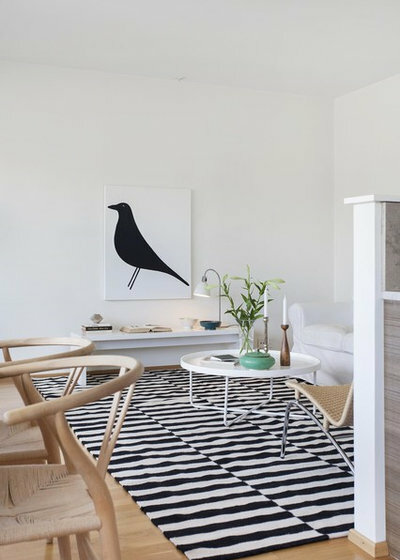 A black and white area rug is a great way to bring some drama to a space while anchoring the floor and still leaving the room airy and open. Plus, if your wood floor is too much wood for you, it helps tie the white walls back to the ground so the color palette all feels connected. 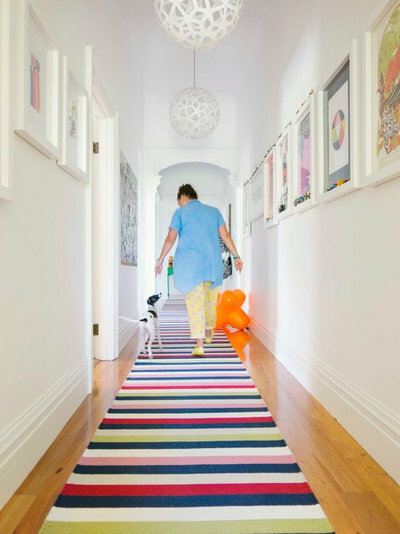 In a hallway, a runner rug draws the eye through the space for some dynamic energy — and perpendicular lines like this also visually widen the space. Wood is considered a neutral, despite having strong yellow or brown undertones, so it adds a hint of color to a white space without overriding the clean, fresh look. 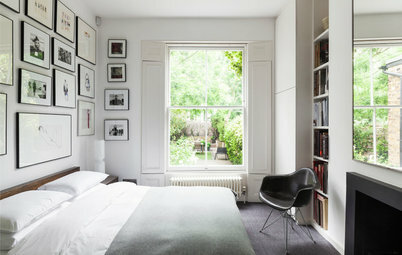 It also helps to bring in the element of nature, which keeps a white space from feeling sterile. 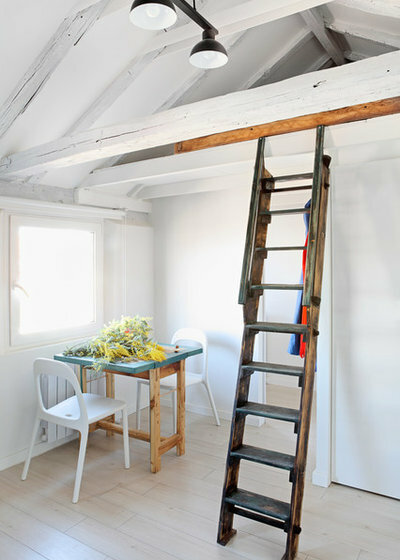 Aged woods especially give a space a sense of softness, so try adding a piece like an antique ladder, a wood-legged table or a vintage shelving unit or sideboard. 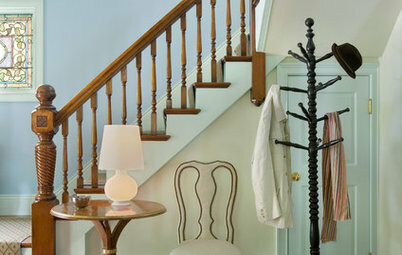 An exposed wood ceiling, dressed in a whitewash or pale stain, gives a hint of visual interest in an unexpected place. 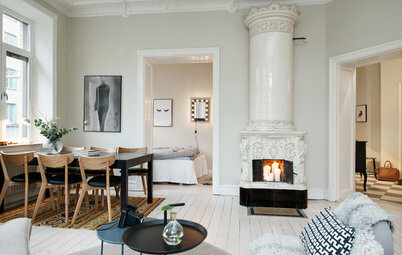 Contrast it with white walls and glossy tiles or other hard surfaces for lots of variety with no strong color in sight. Cool metallics like silver or steel are a perfect complement to warm woods to give a white space a full range of undertones while staying in a neutral family. Plus, metallic sheen adds an all-important sense of sparkle to a space. 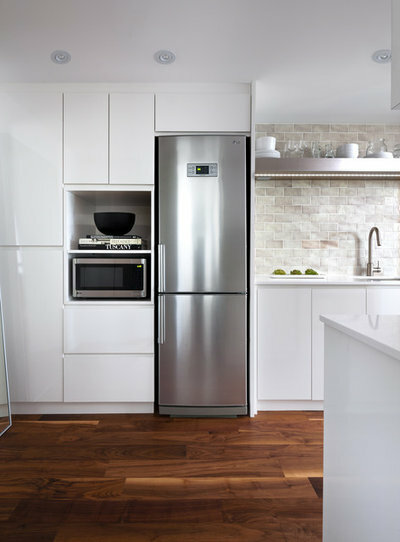 If you don’t have stainless steel appliances, add sleek new cabinet handles instead, or a metallic floating shelf. 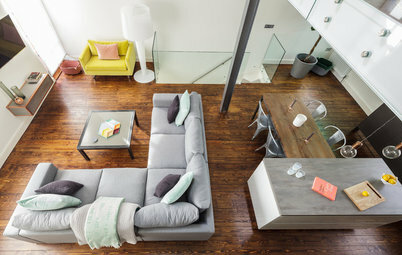 Besides mixing textures, playfully mixing your furnishings can add a relaxed appeal to a room. Try combining different chairs, all in white and-or metal accents, and mix in different pillows or a sheepskin to give the eyes plenty of shapely details to take in. 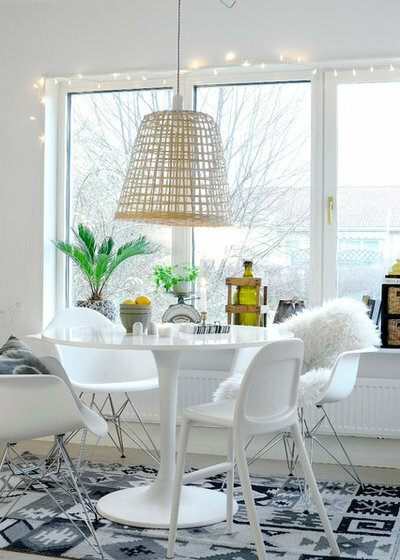 Instead of a new hue, look for places to add clear items for a new layer of colorless “color.” Try sheer shades, transparent chairs, glass vases or a combination of all. 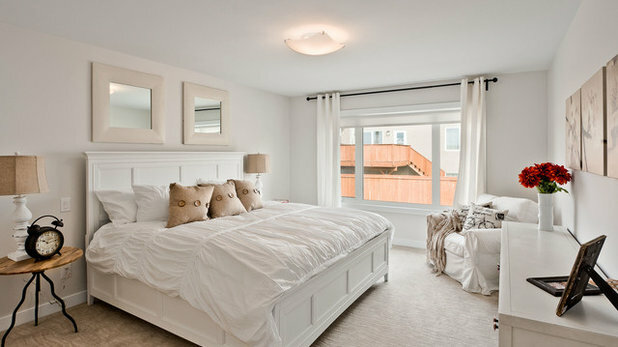 Pale materials like burlap, linen and other textural fabrics in off-whites like sand and cream add depth and texture to a bedroom or living room while maintaining the dreamy quality of white. Use them in pillows, lampshades, carpet, picture frames or old maps and other sepia-toned art. Pale gray shades read as white when mixed together, especially in stone tiles. 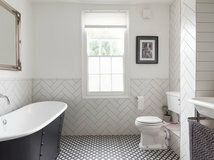 Add a few deep gray elements for contrast and bathroom walls will look like a calming spa oasis with plenty of depth. 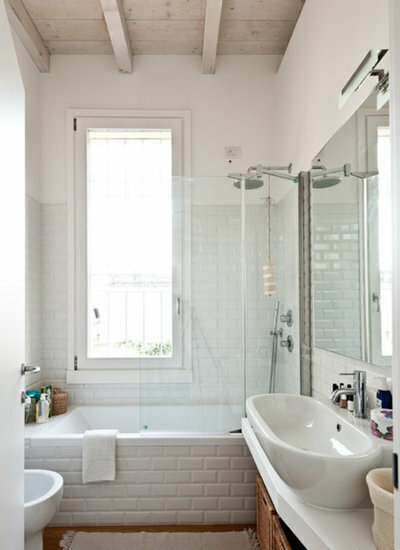 Pale, watery blue-green is another excellent color to add in a white bathroom because it helps white look whiter without breaking up the ocean of calm. Ultimately, the key to working with white is to add just enough color and texture to make the space come alive without taking away that beautiful simplicity you fell in love with in the first place. Add small accents and details over time until the look feels right, then you’ll have a soothing space that’s full of character. Cape Cod Bath Vanity Decor Mirror, Soft White, 22"x30"
I love the striped hall runner with white hall! What brand is the runner?